NEW CASTLE, Del. -- A man has been arrested in what police in Delaware are calling a road rage incident after one driver allegedly pointed a handgun at another motorist. State police said in a news release that it happened Saturday afternoon in New Castle. Troopers say a 20-year-old woman was driving with her 17-year-old sister when an SUV began tailgating their car. Investigators say the SUV's driver was aggressively waving his arms as he tailgated. Police say the SUV pulled alongside the car and the driver pointed a handgun at the car. The SUV then sped off. Troopers say the woman was able to give the SUV's tag number. Police found the vehicle and the driver. 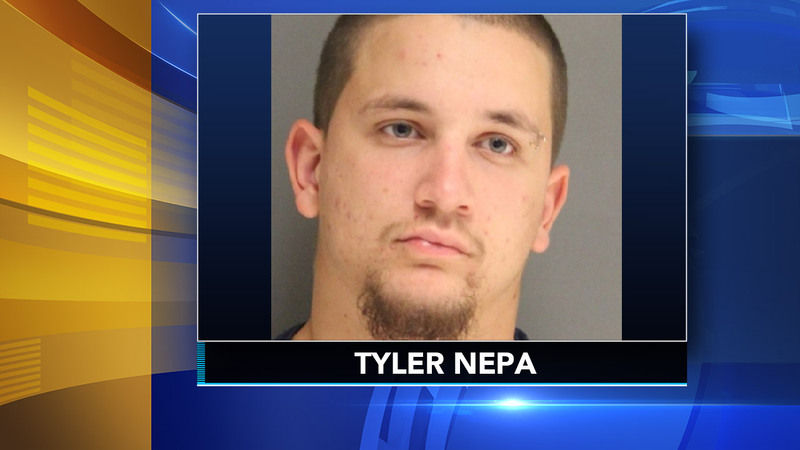 Twenty-one-year-old Tyler Nepa of Wilmington was charged with aggravated menacing and endangering the welfare of a child.